​With championships for every level of rider, glorious prizes to be won and the chance to appear in the pages of Horse & Hound magazine and on HorseandHound.co.uk, Arena UK on 13-15 July needs to go in your calendar. Now is your chance to compete for that championship title you've always dreamed of. We are delighted to bring you the new Horse & Hound Festival of Showjumping, a three-day unaffiliated championship with classes from 70cm to 1m, for both ponies and horses. 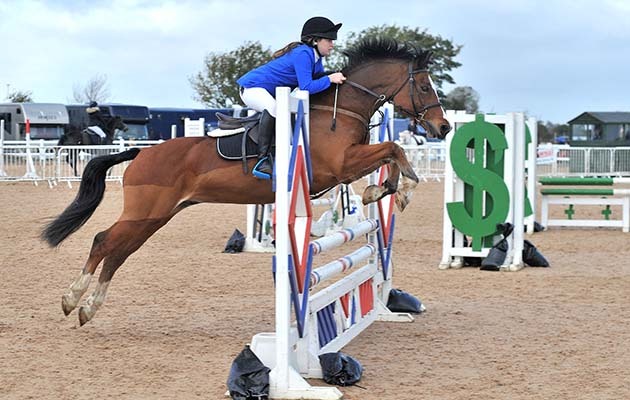 This exciting new event on the jumping calendar will be held at the popular Lincolnshire venue of Arena UK from 13-15 July and as well as the chance to be crowned H&H champion, there will be rosettes to 10th place along with a host of fantastic prizes on offer. You can enjoy all the atmosphere of a major championship with a great stay-away experience, with riders invited to arrive on Thursday, 12 July for welcome drinks, followed by Friday's warm-up classes in the venue's superb outdoor arenas. The championships begin in earnest on Saturday, reaching a thrilling conclusion on Sunday, with all being held on the venue's immaculate artificial surfaces. There will also be some fun jumping classes including a top score and pairs competitions, plus a barbecue, disco and brilliant entertainment to make this a truly memorable occasion. Arena UK offers unrivalled equestrian facilities, boasting Europe's largest outdoor all-weather surface arena, coupled with a magnificent indoor arena, warm-up area, covered collecting ring, ringside restaurant, dedicated hospitality areas and a pavilion with a large viewing gallery. If that wasn't enough to tempt you, this could also be your chance to appear in the pages of Horse & Hound as the show will receive detailed coverage, both in the magazine and at horseandhound.co.uk, with a team of H&H reporters on site to hear your stories and interview all the champions. 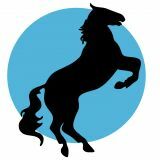 "It's fabulous news that we are able to extend our competition series to showjumping this year, as well as dressage," says Pippa Roome, Horse & Hound's magazine editor. "We are building on the success of our inaugural grassroots eventing competition last year, where riders had a wonderful experience competing in a big event atmosphere, making friends and meeting new challenges. "We look forward to sharing that with more riders this year at Arena UK in the H&H Festival of Showjumping." Arena UK general manager Teresa Stratford is also looking forward to the show.